so this is just a quick tutorial. 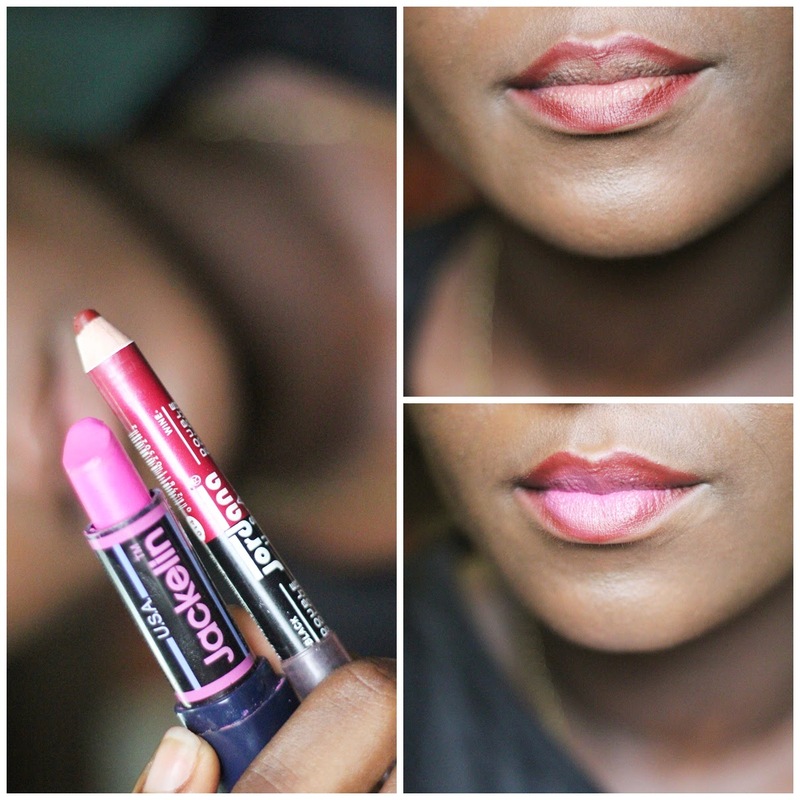 I've had this pink lipstick for a long time now, bought it in the market for 200naira or so and could never really wear it because the color was kinda awks. Also im used to wearing matte lipsticks and it seemed kindof slimy. So one day, my friend Tope was having a makeup class in church and she used a purple liner and pink lipstick to create one of the looks and in my mind i was like omg i have a purple liner too (i usually just wear it as full lip color when i'm feeling vampy). I also tried other colored liners with other lippies and the possibilities are totally endless. 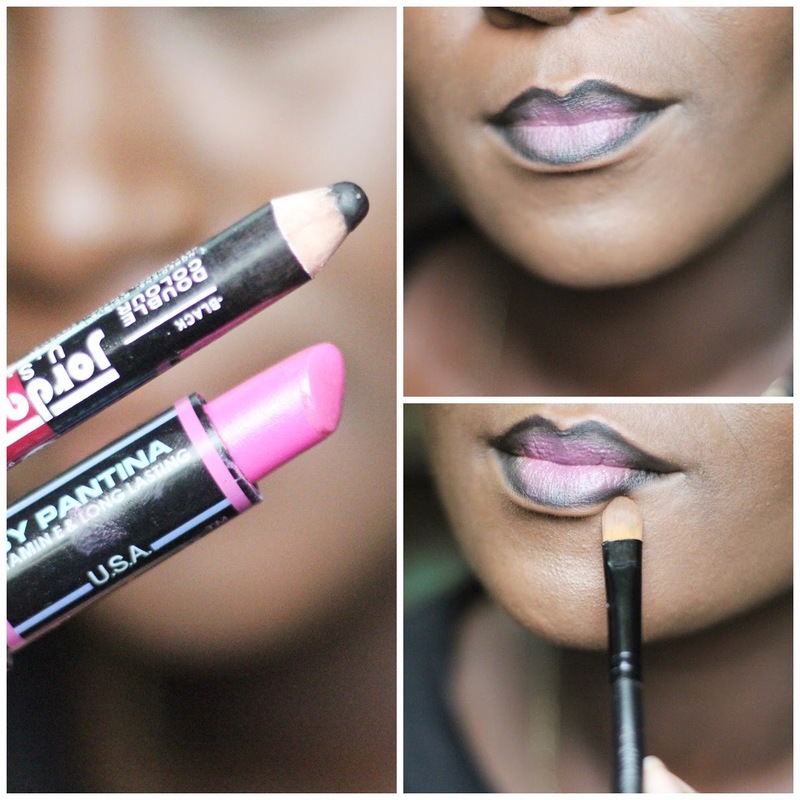 I did a post on the jordana pencils i used as liners in two of the looks here and i used my House of Tara makeup remover whenever i had to change colors. Its a tad oily but it took off all of the lipcolor in one swipe. 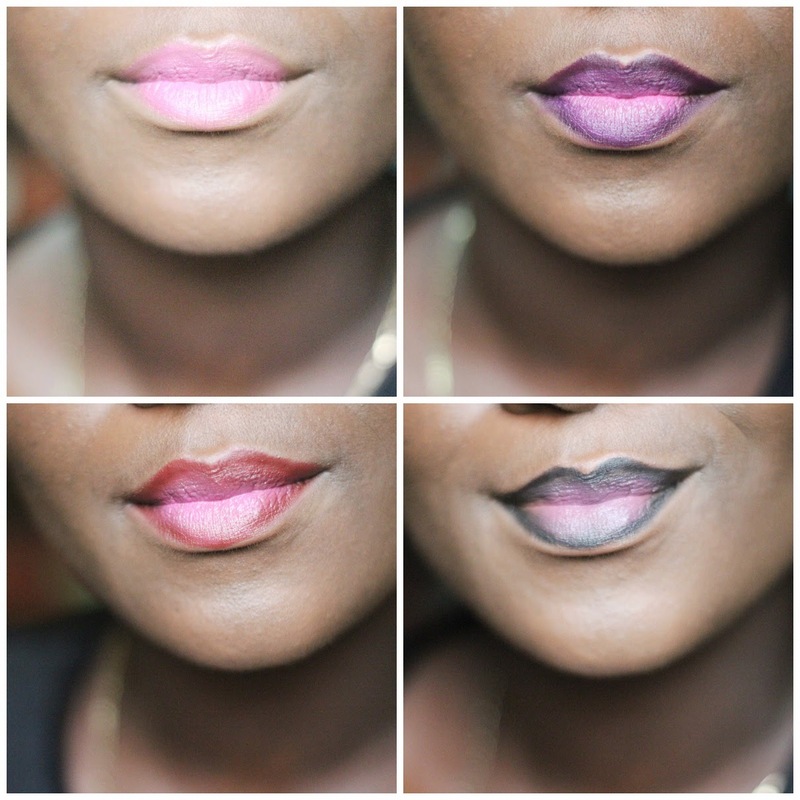 Tip: To get a defined lip shape and cupids bow. Use a flat brush with your face powder to neaten the corners and edges of your mouth. It will appear as if your lips are smaller and it gives a very distinct look. BeautyGeek taught me. Have you tried anything like this before? Any tips i could use? Let me know! Nice. 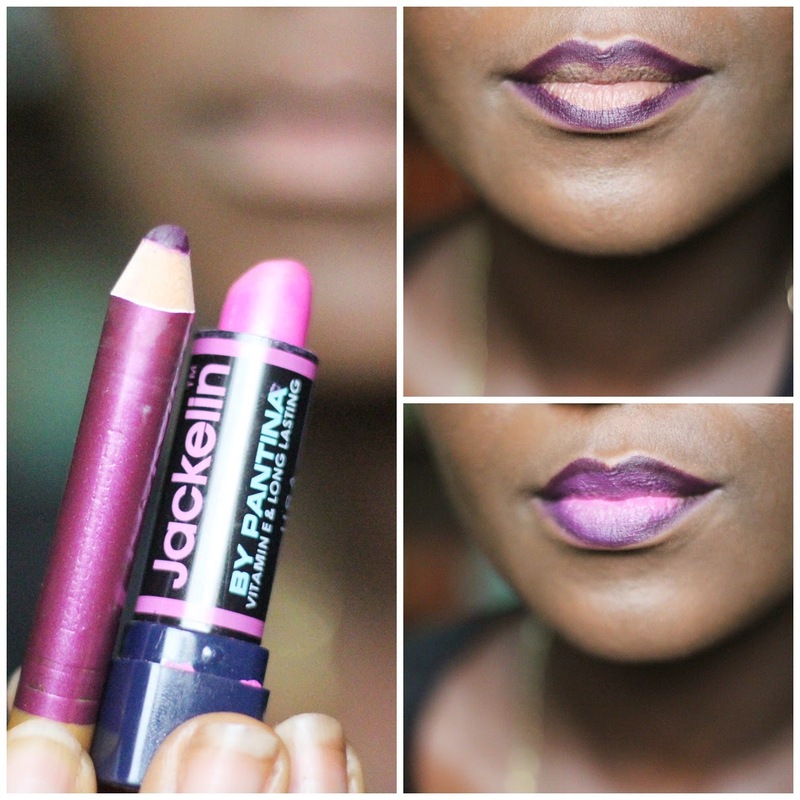 I usually use my purple lipstick in place of the purple liner with the pink lipstick. It has been my go to lippie for the past weeks.